He has sparked a serious tussle between Bayern Munich and Chelsea, he has been one of the major transfer rumours in the January transfer window and he is a top English youngster. His name is Callum Hudson-Odoi. Callum James Hudson-Odoi was born in Wandsworth, London, England on November 7, 2000, and is just 18 years old. He has represented England through his youth and is yet to play for the senior team. His name has been in the news of late because of the interest Bayern Munich has shown for his services. Here are 5 things to know about the young winger. Hudson is of Ghanian origin, as his father, Bismark Odoi is the former Hearts of Oak (a top Ghanaian football club) forward while his brother Bradley Hudson-Odoi is also a professional player at Wealdstone. Bradley was born in Ghana and has never represented his country of birth, unlike his brother. Callum Hudson-Odoi is one of the talented stars in England and has been likened to Eden Hazard, his teammate due to his speed and trickery. He plays as a forward or a winger for premier league club Chelsea. 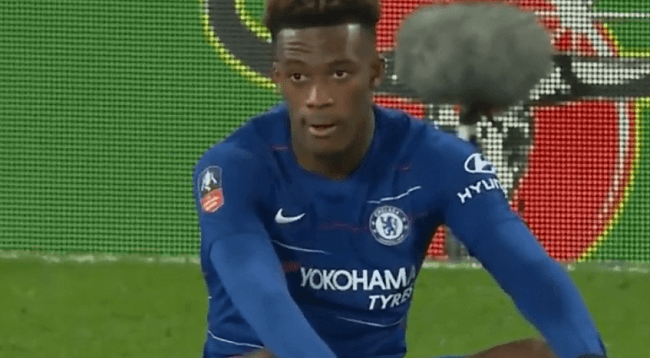 Hudson-Odoi’s preseason performance may have come as a shock to casual observers. The forward gave two assists in the final of the under-17s world cup in India as England recover from to goals down to hammer Spain 5-2. He has lifted two FA youths cups and the Under 18 premier league title. Hudson Odoi’s pre-season form may have drawn, and praised as a former Chelsea player, Micheal Essien who won two premier league titles and the champions league at Stamford bridge took to Instagram to congratulate him calling him “little bro”. Micheal Essien is a big fan of the new Blues youngster.